From the embassy district of Kaivopuisto there is a splendid view towards the Suomenlinna sea fortress built for Helsinki’s defense. The tour continues to the imperial Senate Square and we head for the nearby city blocks to explore some of city’s outstanding interiors reflecting interest in the nurturing of Classical culture. They also tell the story of the increasingly affluent industrial city of the late 1800s and the modern Nordic concept of the dignity of everyday life. On the walking part of the tour we will visit the atrium of the Stock Exchange, a glimmering Art Deco café and the city’s most impressive Minimalist WC facilities. 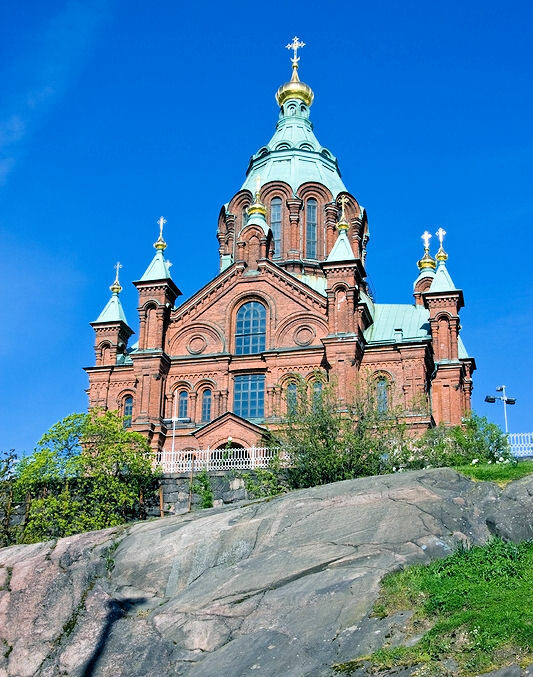 Culturally diverse Helsinki won the honor of being chosen World Design Capital 2012. The grand finale of the tour includes a visit to the Olympic Stadium, which staged the 1952 Summer Olympics, the Sibelius Monument and the Temppeliaukio Church dug into the bedrock once bared by the Ice Age. From the last “must-see” sight we return to the ship.